Cloud synchronization software, like Handy Backup, allow two-side cloud storage synchronization between a local PC and some cloud storage service. The main advantage of cloud synchronization is an ability to drop or to take data from a cloud, always in actual state. Maintaining Google Drive and OneDrive personal accounts as perfect clones of each other. Here are described some cloud services that can be synchronized for keeping cloud data in actual state along with PC-type computer information. Handy Backup allows these methods, divided into three categories depending of the feature used for cloud synchronization. Handy Backup has a dedicated feature for accessing and synchronizing Amazon S3 cloud account. User can synchronize files and folders on a cloud with local PC data, or even sync data between two different Amazon S3 accounts, or Amazon S3 and other cloud service. Example: DotNetNuke cloud synchronization software uses similar technique on a regular basis, to allow DNN synchronize files Amazon S3 and locally stored by software with local data. With Handy Backup, you can use this approach for any application or job you need to synchronize!! How to synchronize files over Amazon S3? Create a new synchronization task in Handy Backup, and then select Amazon S3 as either first folder (Step 2) or second folder (Step 3). You can even select two different Amazon S3 accounts on both steps, to synchronize between these accounts. Yandex.Disk is another cloud service, providing a good starting amount of free storage space, as well as reasonable prices for extra space and other services. For using this service in cloud file synchronization software, Handy Backup provides a dedicated feature called Yandex.Disk. You can use Handy Backup as cloud sync software for such popular cloud storages as Microsoft OneDrive, Google Drive and Dropbox, as well as for other storages including Box, 4shared and Xref for AutoCAD. Handy Backup contains API-based plug-ins for all these clouds. Note: This method can be also used for services creating local folders via own synchronizing software, e.g. to synchronize files in OneDrive or SkyDrive cloud to a local PC. Azure, as an expansion to Windows 8 cloud synchronization, can be particularly interesting on this way. How to synchronize files from several PC to Google Drive or OneDrive? To do it, open Handy Backup and create a new synchronizing task on each PC. 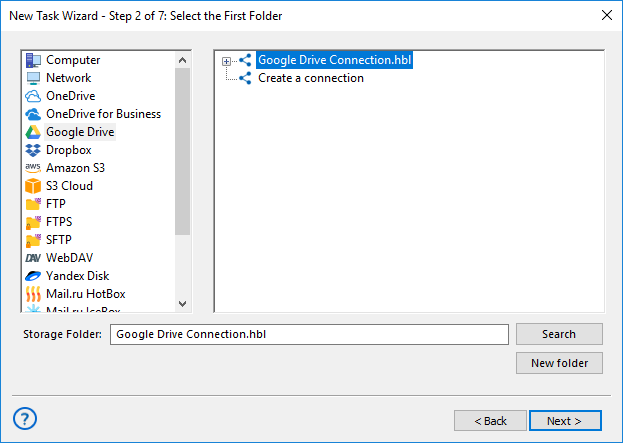 Then select the appropriate cloud feature and mark the automatically synchronizing Google Drive or OneDrive folder as the first or second folder to synchronize it. Handy Backup will do all other automatically. Do not forget to schedule the sync task for a period you feel appropriate. When you complete this operation on all computers requiring synchronization, Handy Backup will start a task automatically, keeping all your data in actual state on all machines. 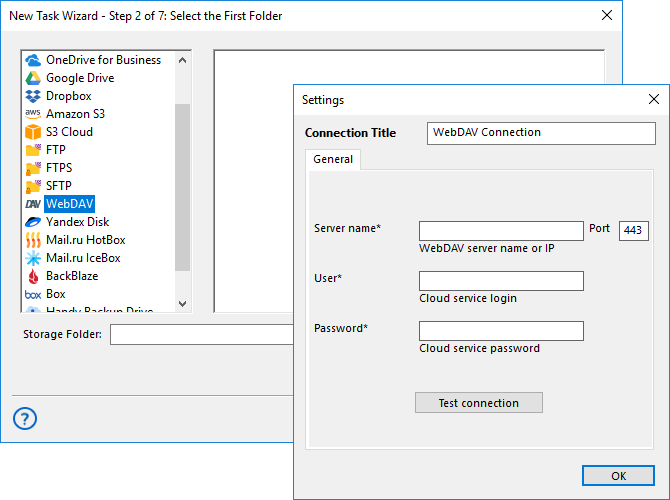 This method uses a WebDAV interface for accessing some cloud accounts allowing WebDAV data exchange. Handy Backup provides the dedicated WebDAV option for setting up and using such clouds for synchronization technique. How to setup WebDAV-based cloud synchronization tools in Handy Backup? Please open Handy Backup, create a synchronizing task and select WebDAV option as a first or second folder for cloud storage synchronization. 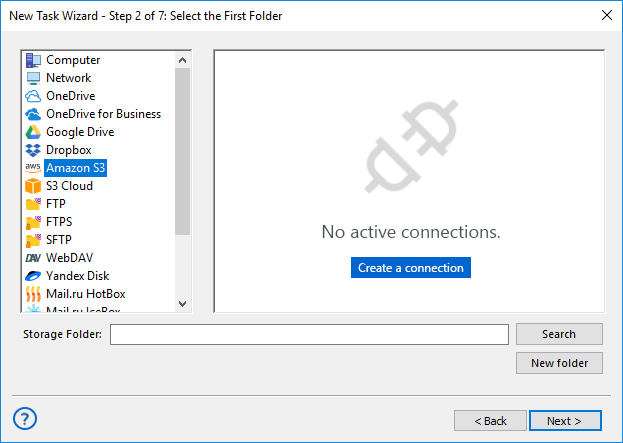 It requires some setup for WebDAV connection, according to your account settings. Then schedule your task as you wish. Technically, that is all. Therefore, Why Not to Try It Immediately? Are you not sure that all these methods are as quite simple to use as described? Try Handy Backup cloud synchronization software at first hands, downloading and installing a full-equipped version just now for a 30-day free trial – just now! 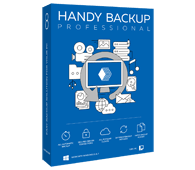 Handy Backup Professional has all functions allowing users synchronizing files between computers and online cloud accounts. Free 30-days trial version!